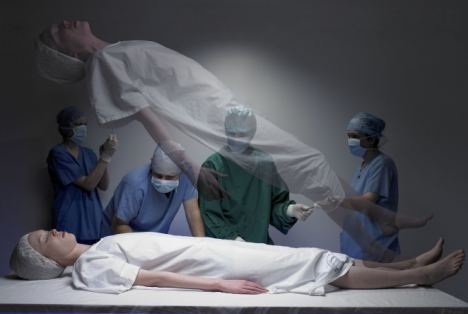 Near Death Experiences – Is There Life After Death? Near death experiences – are you a believer? Is there life after death, do you think? I’ve been fascinated by NDEs since my 20’s. At that time I avidly read several books on NDE’s including Dr Raymood Moody’s ‘Life AFter Life in which he coined the phrase Near death Expereience (NDE). What happens after death was for me a much more interesting topic than what happens before death, to be quite honest, and the topic still draws me in. The other day I spent a very enjoyable evening watching near death experiences on YouTube – I’m adding some of the more moving and inspirational videos below. It always surprises me though that some people do not think about what happens after we die at all, or at least not by choice. Recently I asked an older person in my family if they wondered what will happen after they depart from this earth. The answer was not forthcoming, I felt I’d asked an alien question! And then I met with a friend recently who, whilst he believes in the illusory nature of the ego (as I do), he does not believe that there is anything after death – ie nada, nothing, niet, and that consciousness is purely a function of the brain and cannot survive without the latter. 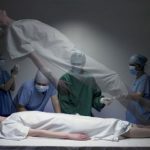 It reminds me of one near death experience video I watched where the person who was having the near death experience had been well and truly ‘signed off’ and was actually lying on the mortuary table when he came back to – the mortuary person got a fright for sure! So there, the brain has been well and truly dead enough for the doctors to feel there is no life coming back and the body can be dealt with as a deceased (embalmed, cut open etc), yet still life returns. Questioner: And what is death? Nisargadatta: It is the change in living process of a particular body. Integration ends and disintegration sets in. Questioner: But what about the knower? With the disappearance of the body does the knower disappear? Nisargadatta: Just as the knower of the body appears at birth so he disappears at death. Nisargadatta: Life remains. Consciousness needs a vehicle and an instrument for its manifestation. When life produces another body, another knower comes into being. Questioner: Is there a causal link between the successive body-knowers or body-minds? Nisargadatta: Yes, there is something that may be called the memory body, or causal body, a record of all that was thought, wanted and done. It is like a cloud of images held together. Questioner: What is this sense of a separate existence? Nisargadatta: It is a reflection in a separate body of the one reality. In this reflection the unlimited and limited are confused and taken to be the same. To undo this confusion is the purpose of Yoga. Questioner: Does not death undo this confusion? Nisargadatta: In death only the body dies. Life does not, consciousness does not, reality does not. And the life is never so alive as after death. Questioner: But does one get reborn? Nisargadatta: What was born must die. Only the unborn is deathless. Find what is it that never sleeps and never wakes, and whose pale reflection is our sense of ‘I’. So I guess it comes down to whether one has the interest in finding out the truth about life and death. And then after that it depends on whether one has experience of what is ‘unborn’ or ‘deathless’ – and if one has the former this latter will surely occur. I was ‘shown’ that one night some years ago – and purely because I asked. It happened in a dream from which I awoke and things were never the same thereafter – this site has a description of what happened that night so I won’t repeat myself (although it is the one experience I have never gotten tired of talking about and each time I talk about it it’s as fresh as that night). The universe really is alive and Divine Intelligence is alive and kicking in us because we are That already, we could not exist otherwise. We do survive death…..And since I don’t doubt this I just love NDE stories. What I love most is the message of Love. Love is what it’s all about, and these people who come back from the dead so to speak, have their lives transformed so powerfully and become – well – nicer people, and this cannot happen just like that if there is ‘nothing’ after death. But your views could well differ, so do share in the comments below what your own thoughts are if you feel prompted. So I’ll leave you with some NDE videos – enjoy and be uplifted, they are quite moving. Long video but a beautiful, authentic account. He also claims to have seen UFOs. Initially I thought this was too long a video, but this Flight Engineer’s way of recounting what he experienced is gripping (I found) and so right on….I loved watching and listening to it. Fascinating what he says about religions, God, Jesus, Love, how the universe came about (his research and digging deep with his questions), prayer (all thought is prayer and spreads through entire universe), the universe is responsive. On the last point alone, this video is very uplifting. I think what I love about Truth if I can put it as simple as that, is that despite people’s religious or psychological beliefs, or what they think about God or what happens after death, the Truth by its very nature transcends any relative belief structures and shows people at times what It actually is, and the commonality amidst such experiences points to the same things. Love is All. The Universe is powerful beyond belief. We are not this physical shell. We are not the body. We are not our beliefs. We are eternal and everlasting. The real experience of ours on this human planet is, in Nisargadatta’s words: “….a question of love seeking expression and meeting with obstacles.” Similarly, Rumi said: “Your task is not to seek for love, but merely to seek and find all the barriers within yourself that you have built against it.” Our real mission is one of Love. Not love for just our loved ones, but to expand into that Love that is the Father of that love we feel for our families and friends. And in our ignorance, whilst we suffer and fall on the path of worldly life as a human, we forget that we are already loved, always were loved and always will be loved by the Divine / Universe and we have no need to fear. But since we forget who we really are, videos like the above serve to remind us of the truth of our own very nature. PS. For a fantastic near death experience resource take a look at http://www.near-death.com. It’s chock full of a vast amount of info all categorized clearly. Enjoy! and silent for no more than two seconds, during which time, my thoughts were continuous. over me” and seeing my child’s body lying lifeless in my bed. Seeing my lovely mum there made me want to fight my way back which I did several times. That was moving Clive, thanks for sharing. I hope your asthma is heaps better nowadays. Anyone who watched Dr Who on TV just last night might think that after death we come back as cybermen. Meanwhile, back in the real world (or is it ?)……….. By some old definitions I died during my heart bypass operation last year. My heart was stopped, and once that was thought as a good indication of being dead. Maybe we know better now (or maybe we don’t). I remember absolutely nothing from the time I was anaethetised until I woke up nearly 24 hours later. Now that was very peculiar, and nothing like I imagined. It was at about 6am, and it just seemed like I had woken up after a nice sleep. I was in no discomfort at all (unless I did something stupid) despite my chest being held together with metal staples (literally). As far as I can guess, this is normal life, but it could be life after death, and I have no idea how to test that – not that I really want to, but it’s sometimes interesting to think about it. Thanks for sharing Bill, and I trust that your recovery is well in hand and you are doing well.